The Union County Board of Supervisors learned about coming changes in local ambulance service during its Monday morning, July 17th, meeting. 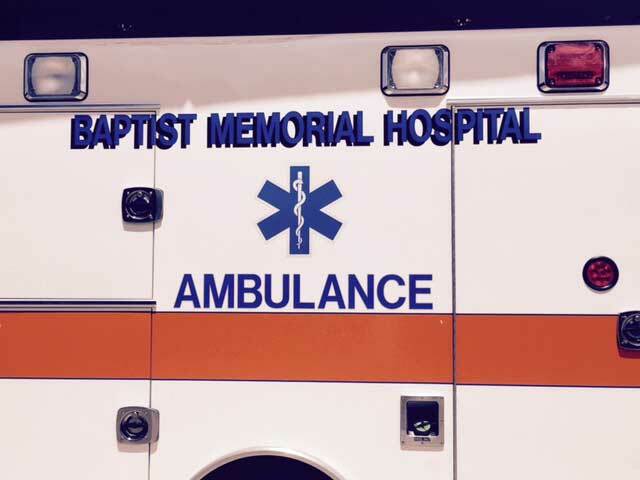 “We are in the planning on making a change to our ambulance program,” Walter Grace, CEO and administrator of Baptist Memorial Hospital-Union County told the board. “As you know, the hospital operates an ambulance program. We are in the process of a joint venture with Priority Ambulance.” Priority Ambulance, a company based in Knoxville, TN, operates ambulance services in several states including Tennessee, Alabama, Arizona, Georgia, Indiana, and New York. Grace said Baptist Memorial Healthcare of Memphis was working with Priority to improve utilization of patient transportation resources for hospitals it operates in New Albany, Oxford, Calhoun County and Prentiss County. He introduced Priority CEO Bryan Gibson, who said the ambulance services would be operated by his company effective Aug. 15, 2017. Gibson said Priority’s joint venture with Baptist would help control costs and duplication of services. “We are putting together a command and control center,” he told the board, and said that ambulances services would be dispatched from the Baptist Administration Center in Memphis. Gibson gave an overview of the sophisticated electronic communications systems that will be used track equipment location and utilization at all times. District Five Supervisor Steve Watson asked if it would be possible to establish satellite ambulance locations in rural Union County under the new plan. Watson said that the system would monitor service locations and be able to establish new sites when and if needed. Union County Sheriff Jimmy Edwards and county jail chaplain, Rev. Jerry Lowery, told the board of the need for two new receivers to be used in Project Life Saver. Project Life Saver provides special tracking bracelets to individuals with dementia, severe autism, etc., conditions which might cause its victims to wander away from home and not be able to find their way back. The board was told that two hand-held receivers purchased for Project Life Saver more than ten years ago are no longer in working condition. The board unanimously approved the purchase of two new receivers for $1,025 each. The county had advertised for bids on about six acres of mixed timber on county-owned land. Only one bid was received, that from Mercy Tree Forestry and Wildlife Services, which is owned by Jason Hogue. Mercy bid $1,000 for the timber, and the board unanimously approved that bid. The board also conducted routine business including payment of routine fees and expenses. Board President David Kitchens said the supervisors will convene again on July 24th.